Mifeprex* (mifepristone) is the first Food and Drug Administration (FDA)-approved early option pill for non-surgical abortion. 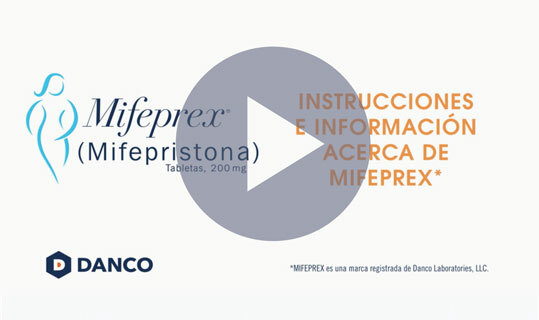 Mifeprex is used in a regimen with another prescription medicine called misoprostol, to end an early pregnancy. Early pregnancy means it is 70 days (10 weeks) or less since your last menstrual period began. Mifeprex is not approved for ending pregnancies that are further along. 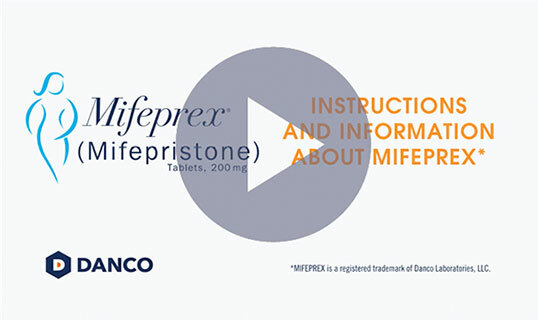 Mifeprex blocks a hormone needed for your pregnancy to continue. Mifeprex is only available from clinics, medical offices and hospitals, and is provided directly to the woman to use at her healthcare provider’s location. It is not available at retail pharmacies. Ask your physician if s/he offers Mifeprex, as many OB/GYNs and family physicians are providing Mifeprex to their patients. Mifeprex is a pill that blocks progesterone, a naturally produced hormone that prepares the lining of the uterus for a fertilized egg and helps maintain pregnancy. Without progesterone the pregnancy cannot continue and the lining of the uterus softens, breaks down and bleeding begins. Mifeprex is followed by a prostaglandin, misoprostol, which causes the uterus to contract and helps to complete the process.